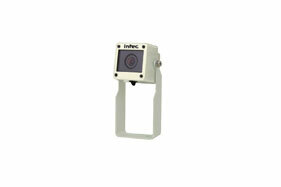 The black and white camera shall be an Intec Model CVC210A. The camera shall incorporate a 1/3" high density CCD interline transfer pickup device with at least 251,904 [512 (H) x 492 (V)] pixels. The camera shall produce a horizontal resolution of at least 380 lines. 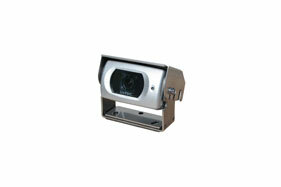 The camera shall feature an Automatic Gain Control (AGC) circuit to provide clear images in low light conditions. The camera shall deliver a usable black and white picture at a scene illumination of 0.3 lux. The camera shall provide a horizontal field of view of at least 115* and a vertical field of view of at least 84*. The camera shall have a shock/vibration rating of at least 9.0G @ 0-2000 cpm and be able to transmit images to a monitor using a single cable. The camera shall carry at least a one year warranty. The black and white camera shall be an Intec Model CVC210AXL. The camera shall incorporate a 1/3" high density CCD interline transfer pickup device with at least 251,904 [512 (H) x 492 (V)] pixels. The camera shall produce a horizontal resolution of at least 380 lines. 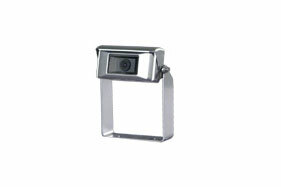 The camera shall feature an Automatic Gain Control (AGC) circuit to provide clear images in low light conditions. The camera shall deliver a usable black and white picture at a scene illumination of 0.3 lux. The camera shall provide a horizontal field of view of at least 115¡ and a vertical field of view of at least 84¡. The camera/cable connection shall be qualified to MIL-C26482, Series 1, the male pressurized receptacle shall be installed into the camera case, rendering a watertight connection/enclosure. The camera shall have a shock/vibration rating of at least 9.0G @ 0-2000 cpm and be able to transmit images to a monitor using a single cable. The camera shall carry at least a five year warranty. The black and white camera shall be an Intec Model CVC240HXL. The camera shall incorporate a 1/3" high density CCD interline transfer pickup device with at least 250,000 [510 (H) x 492 (V)] pixels. The camera shall produce a horizontal resolution of at least 380 lines. The camera shall feature an Automatic Gain Control (AGC) circuit to provide clear images in low light conditions. The camera shall deliver a usable black and white picture at a scene illumination of 0.05 lux. The camera shall provide a horizontal field of view of at least 125¡ and a vertical field of view of at least 100¡. 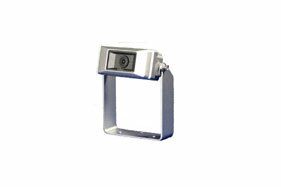 The camera/cable connection shall be qualified to MIL-C26482, Series 1, the male pressurized receptacle shall be installed into the camera case, rendering a watertight connection/enclosure. The camera shall have a shock/vibration rating of at least 9.0G @ 0-2000 cpm and be able to transmit images to a monitor using a single cable. The camera shall carry at least a six year warranty. The black and white camera shall be an Intec Model CVC240SHXL. The camera shall incorporate a 1/3" high density CCD interline transfer pickup device with at least 250,000 [510 (H) x 492 (V)] pixels. The camera shall produce a horizontal resolution of at least 380 lines. 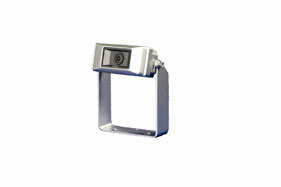 The camera shall feature an Automatic Gain Control (AGC) circuit to provide clear images in low light conditions. The camera shall deliver a usable black and white picture at a scene illumination of 0.05 lux. The camera shall provide a horizontal field of view of at least 125¡ and a vertical field of view of at least 100¡. The camera/cable connection shall be qualified to MIL-C26482, Series 1, the male pressurized receptacle shall be installed into the camera case, rendering a watertight connection/enclosure. The camera shall have a shock/vibration rating of at least 9.0G @ 0-2000 cpm and be able to transmit images to a monitor using a single cable. The camera shall carry at least a six year warranty. The black and white camera shall be an Intec Model CVC320HXL. The camera shall incorporate a 1/3" high density CCD interline transfer pickup device with at least 250,920 [510 (H) x 492 (V)] pixels. The camera shall produce a horizontal resolution of at least 380 lines. The camera shall feature an Automatic Gain Control (AGC) circuit to provide clear images in low light conditions. The camera shall deliver a usable black and white picture at a scene illumination of 0.05 lux. The camera shall provide a horizontal field of view of at least 125¡ and a vertical field of view of at least 100¡. The camera/cable connection shall be qualified to MIL-C26482, Series 1, the male pressurized receptacle shall be installed into the camera case, rendering a watertight connection/enclosure. The camera shall have a shock/vibration rating of at least 9.0G @ 0-2000 cpm and be able to transmit images to a monitor using a single cable. The camera shall carry at least an eight year warranty. The color camera shall be an Intec Model CVC470HXL. The camera shall incorporate a 1/3" high density CCD interline transfer pickup device with at least 250,000 [510 (H) x 492 (V)] pixels. The camera shall produce a horizontal resolution of at least 320 lines. 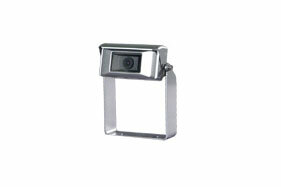 The camera shall feature an Automatic Gain Control (AGC) circuit to provide clear images in low light conditions. The camera shall deliver a usable color picture at a scene illumination of 0.5 lux. The camera shall provide a horizontal field of view of at least 125¡ and a vertical field of view of at least 100¡. The camera/cable connection shall be qualified to MIL-C26482, Series 1, the male pressurized receptacle shall be installed into the camera case, rendering a watertight connection/enclosure. The camera shall have a shock/vibration rating of at least 9.0G @ 0-2000 cpm and be able to transmit images to a monitor using a single cable. The camera shall carry at least a six year warranty. 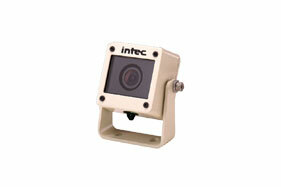 The color camera shall be an Intec Model CVC470SHXL. The camera shall incorporate a 1/3" high density CCD interline transfer pickup device with at least 250,000 [510 (H) x 492 (V)] pixels. The camera shall produce a horizontal resolution of at least 320 lines. 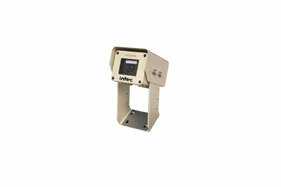 The camera shall feature an Automatic Gain Control (AGC) circuit to provide clear images in low light conditions. The camera shall deliver a usable color picture at a scene illumination of 0.5 lux. The camera shall provide a horizontal field of view of at least 125¡ and a vertical field of view of at least 100¡. The camera/cable connection shall be qualified to MIL-C26482, Series 1, the male pressurized receptacle shall be installed into the camera case, rendering a watertight connection/enclosure. The camera shall have a shock/vibration rating of at least 9.0G @ 0-2000 cpm and be able to transmit images to a monitor using a single cable. The camera shall carry at least a six year warranty. The color camera shall be an Intec Model CVC500AH. The camera shall incorporate a 1/3" high density CCD interline transfer pickup device with at least 250,000 [510 (H) x 492 (V)] pixels. The camera shall produce a horizontal resolution of at least 330 lines. The camera shall deliver a usable color picture at a scene illumination of 0.5 lux. The camera shall provide a horizontal field of view of at least 123¡ and a vertical field of view of at least 91¡. The camera shall be able to transmit images to a display/monitor using a single cable. The camera shall carry a warranty of one year parts and labor.